Home / Blog / How Does Water Help in Hair Growth? Drinking adequate water not only keeps you healthy, but also contributes for hair growth. Water hydrates the body, helps to regulate the circulatory system that nourishes the hair follicle and then stimulates hair growth. 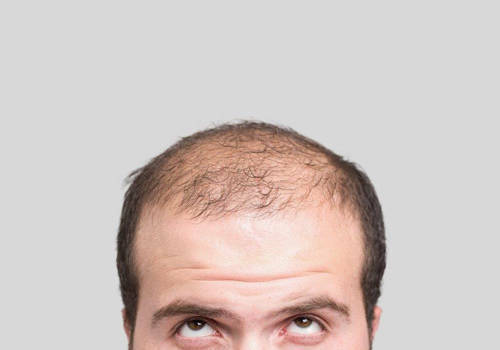 If your hair follicles do not have enough water, your hair will eventually dry up, become fragile, and in this case, it will result in a halt of hair growth. At Clinicana, we recommend that all our patients drink as much water and do exercise as possible. If you dream of getting natural and healthy hair, your miraculous drug is water. Do not neglect to consume water for healthy and gorgeous hair. Water deficiency in the body causes dehydration, but few people know that dehydration has a direct effect on hair growth. It is a well-known fact that about 60-80% of our body is made of water. If the water required for the health and recovery of the cells is not taken in sufficient quantities, the body suffers dehydration, which directly affects the growth of the hair. You may be using a variety of hair vitamins or other hair supplements, but if your body does not consume plenty of water to meet its daily H2O requirement, your hair will become extremely dry and pale so cells responsible for hair growth cannot grow and multiply. This can negatively affect the natural growth cycle of your hair. On a daily basis, the human body tends to lose about 2 to 3 liters of water for the reasons such as sweating and other water releases. Our skin also has a high concentration of water, which tends to evaporate continuously in small droplets carried by air. If the hair follicles are insufficient of the required water levels, the hair eventually becomes fragile, dry and hard, and may stop growing at a rate that is comparable to the genetic rate of the person. Hair follicles are the only means in the body that makes water. The roots absorb the water and the sachet moistens, which automatically increases the hair growth rate. Water is an energy source for every cell of our body. Water is also very important for cells responsible for hair health and hair growth. Water feeds on the cells and provides the necessary vitamins. It produces magnetic and electric energy, which is thought to be the basis for survival. This is done by a process called hydrolysis. Hair roots and hair have many energy-sensitive and light-sensitive nerve endings. The water activates all these nerve endings and other sensors in the skin, which increase the natural vitality of the hair roots. Adequate water consumption helps you get rid of your dandruff and thinning complaints in your hair. Not only is it beneficial for our skin and health, it also triggers the growth of hair and helps with other hair and scalp problems. Even a slight amount of dehydration can cause energy loss from hair follicles and hair loss.